Up-Close Outfitters LLC, now offers overnight backpacking trips to remote locations in the Pisgah National Forest. 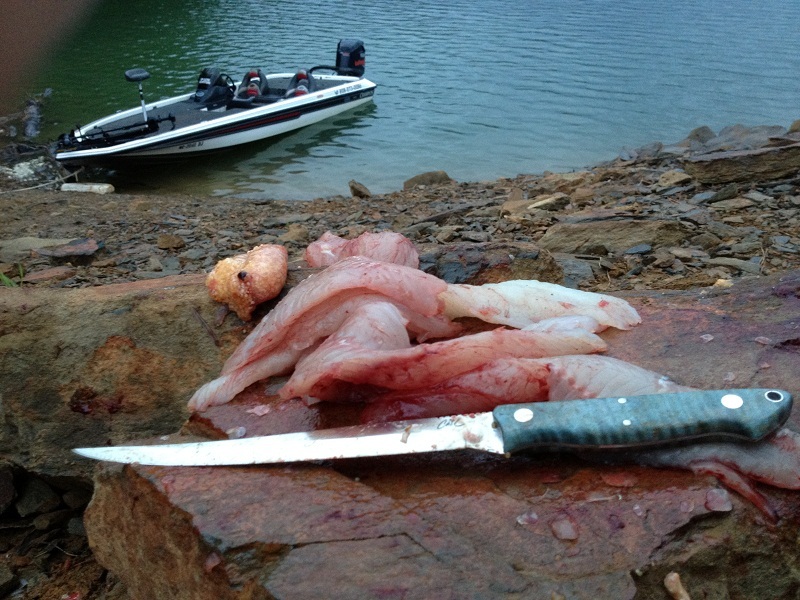 We also offer transportation by boat to camp on remote islands on Fontana Lake to extend your fishing adventure. Wake up on the lake and beat all the other boats to the best fishing holes. . This package is a top choice for the serious outdoorsman. It allows for several days of concentrated hunting or fishing to tag a trophy. If luring in that 8-point buck or screaming reels from lunker bass is your fancy, we can make your dreams come true with a multi-day, guided adventure. Whether or not you are after a trophy, our overnight trips add another element of adventure to any hunting or fishing trip. 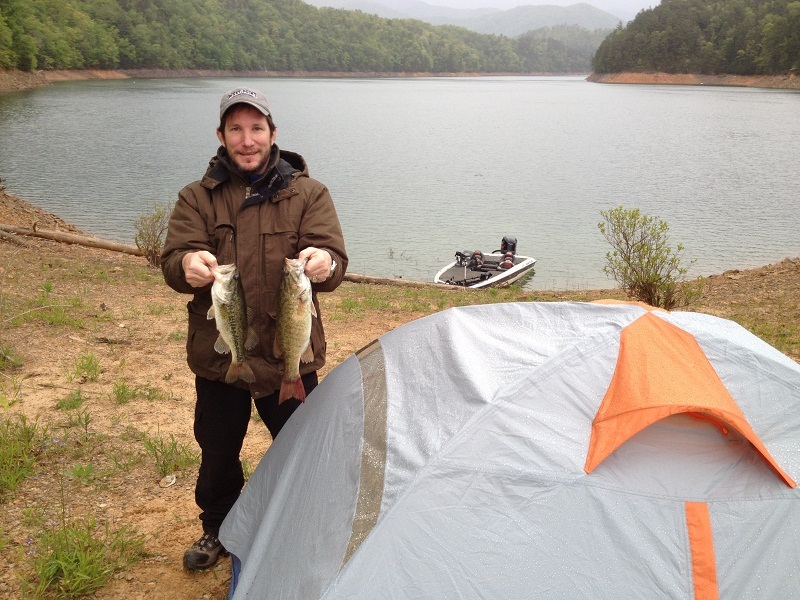 Our professional guides provide the finest in primitive camping. Whether you are using spike camps 7 miles into the Pisgah National Forest or looking for a trophy deer or camping next to a wild trout stream, our team of professionally trained guides will take care of everything. All you need to do is relax and take in the scenery. Our all-inclusive trips will begin with transportation to and from backcountry access points. We will then hike or ride to the camping area, where your guide will take care of everything. From our secluded camping sites, you will enjoy two or three days of fishing and hunting the game of your choice. Each day, a first-rate hot meal or two will be cooked on the open fire by our guide. When not hunting or fishing, our goal is for our clients to do nothing but relax comfortably and absorb the natural wonders of the Western NC mountains.